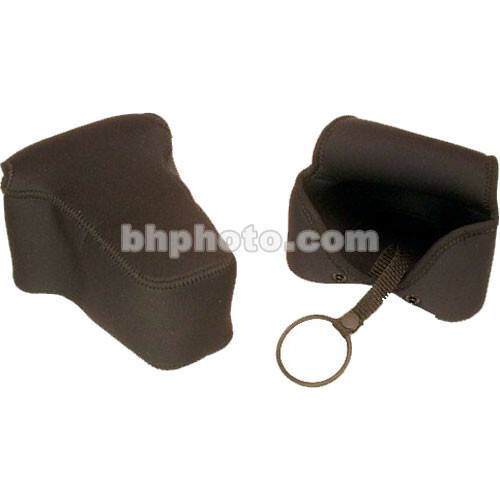 The Op/Tech USA Rangefinder Soft Pouch (Black) provides protection while conforming snugly to most rangefinder cameras with a telephoto lens attached. This easy-access case is made of soft, durable neoprene to provide protection on impact and to repel water in inclement weather. It has a retaining strap which attaches around the lens and enables the pouch to stay attached to the camera at all times. This soft pouch is made in the USA. Box Dimensions (LxWxH) 6.5 x 5.6 x 2.8"
Rangefinder Soft Pouch is rated 4.0 out of 5 by 1.